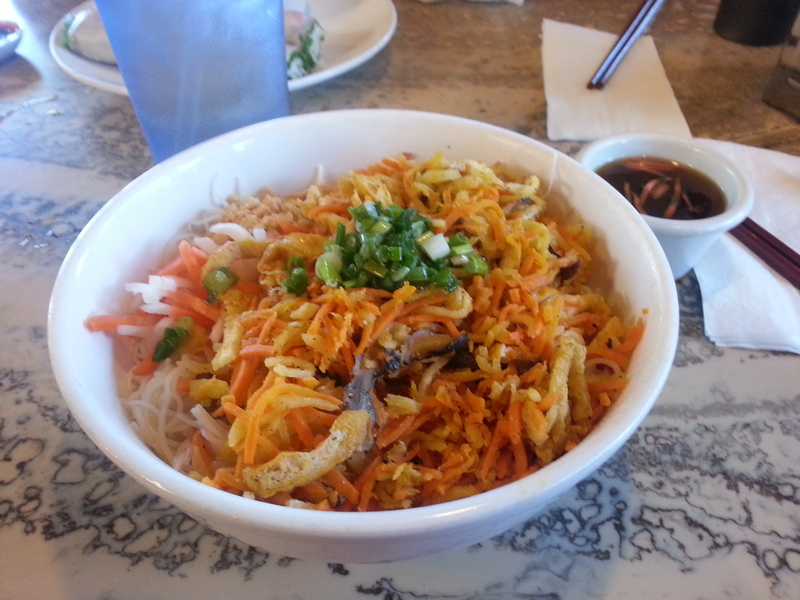 (I love pho and vermicelli. Instead of the BBQ’d chicken vermicelli, I just went with this tofu and mushroom one). My mom is into baking. Every ingredient is organic. And she uses wheat germ, spelt flour, almond flour, flaxseed something-something. 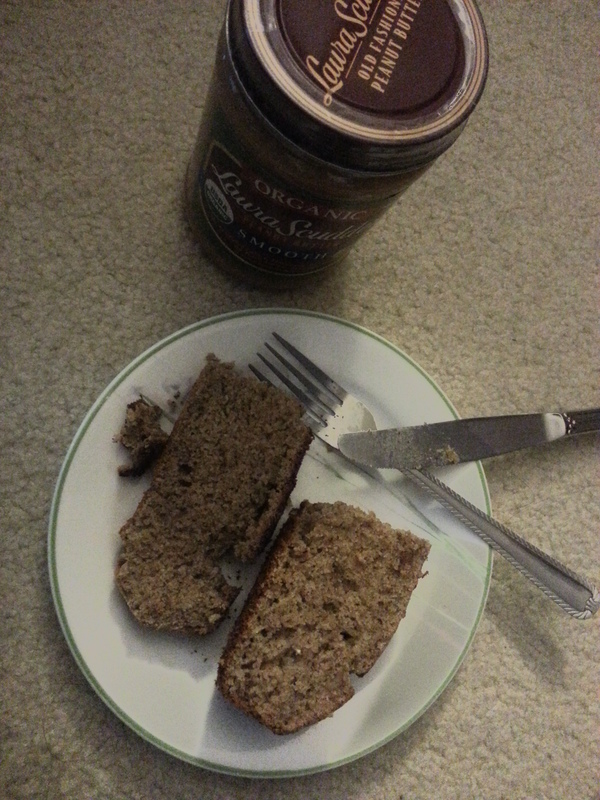 It was quite good, but I decided to take it up an notch with some almond butter. Always a GOOD decision. I’m going to go with my Brooks PureFlows this time around. I kind of ran my Mizunos to death and my feet hurt just standing or walking in them. 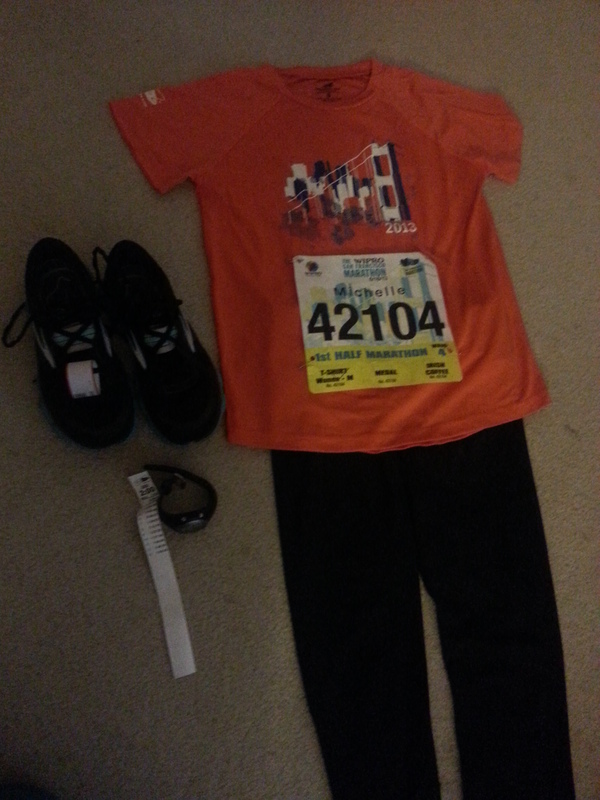 The top is the pacer shirt for the SFM, and the bottoms are capris from Lululemon. Other pacing essentials: my Garmin 405 and a pacing band. My mom also uses all organic ingredients for cooking/baking 😉 Have a great race! Thanks! The race was fantastic and glad you’re mom uses organic, too!